Autumn usually ends up being construction time. This year’s project is by far the biggest yet on the Tiny Farm, as we set out to more than double the area of the old milk collection room known as the Milkhouse. This was the only outbuilding that could be heated during the winter. 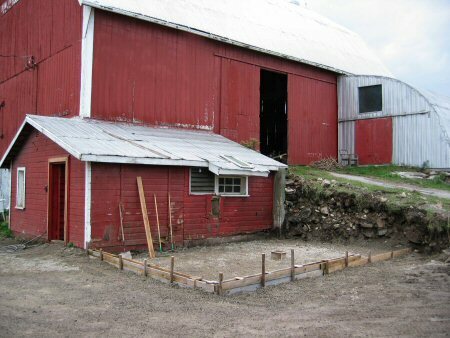 After the upgrade, it’ll be a year-round multi-use space: office, seedling room in spring, overnight veggie storage in summer, the farm stand in the chilly days of late fall, maybe even the venue for the occasional, um, tea party… At this stage, it’s waiting for the concrete floor to be poured.